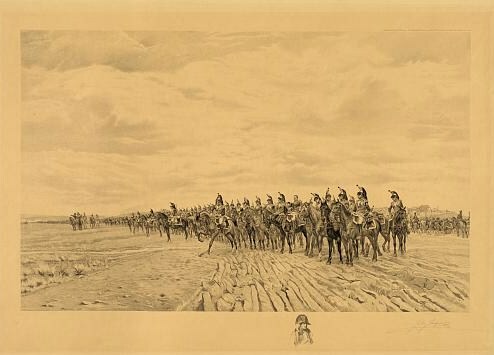 Print showing long line of French cavalry with artillery moving behind them at Austerlitz. 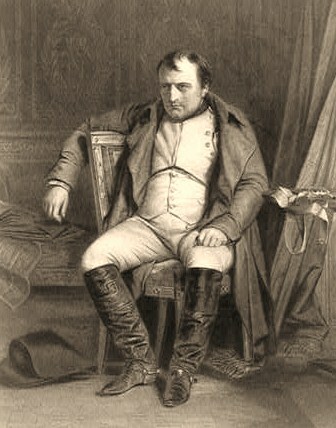 Includes remarque of Napoleon, half-length portrait, facing slightly right. The Decline and Fall of Napoleon’s Empire explores errors that Napoleon made which led to his downfall and analyses the flaws in his character from a new perspective. 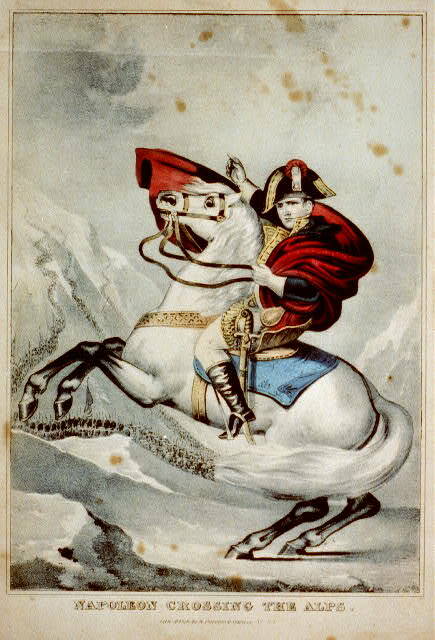 There has been a torrent of literature produced about Napoleon ever since his exile to Saint Helena in 1815. Everything from his battles and his tactics to his finances and hats has been subjected to repeated microscopic probing and analysis. 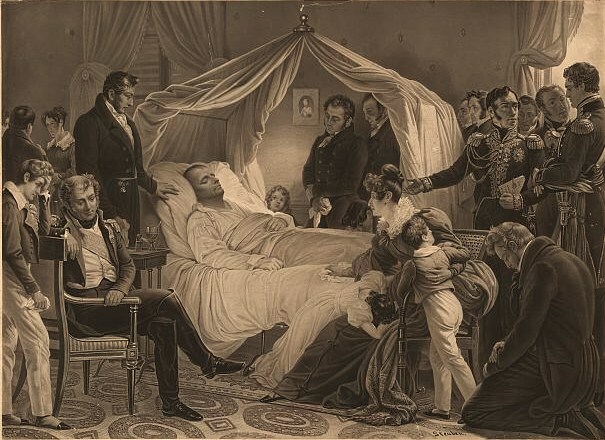 Until now, however, there has been no study of the significant errors that Napoleon made himself which, though apparently trivial at the time, proved to be major factors in his downfall. 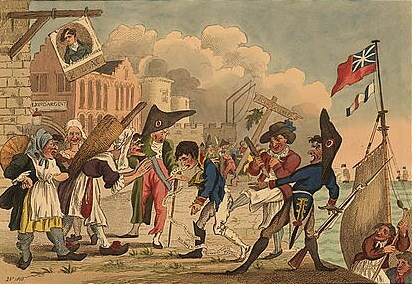 Print showing Napoleon I greeting French soldiers and citizens after his escape from Elba. Smith tracks his rise to power, his stewardship of France from 1804-15, and his exile. He highlights his military mistakes, such as his unwillingness to appoint an effective overall supreme commander in the Iberian Peninsula, and the decision to invade Russia while the Spanish situation was spiralling out of control. Smith also scrutinises naval mistakes – notably, Napoleon’s inability to comprehend the intricacies of naval operations, his impatience with his admirals, and his failure to invest in ships and men. 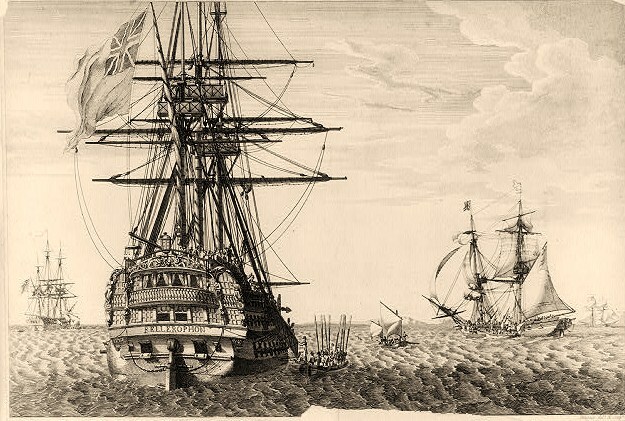 Print shows a view of the HMS Bellerophon from the aft with a rowboat drawn along the starboard side and Napoleon I climbing stairs to board the ship in order to surrender to the British and Captain Frederick L. Maitland. Other ships are visible in the area, one may be the HMS Superb. Smith tracks diplomatic and political errors, highlighting his inability to conclude lasting peaces and to compromise. Smith finally addresses domestic and economic blunders, such as the establishing and maintenance of the Continental System across Europe, the imposition of a ban on direct trade with Russia (which led to France paying higher prices for naval stores of Russian origin after they passed through the hands of German middlemen), and the cost of creating various kingdoms and principalities and deposing incumbent rulers to place his relatives on their thrones. 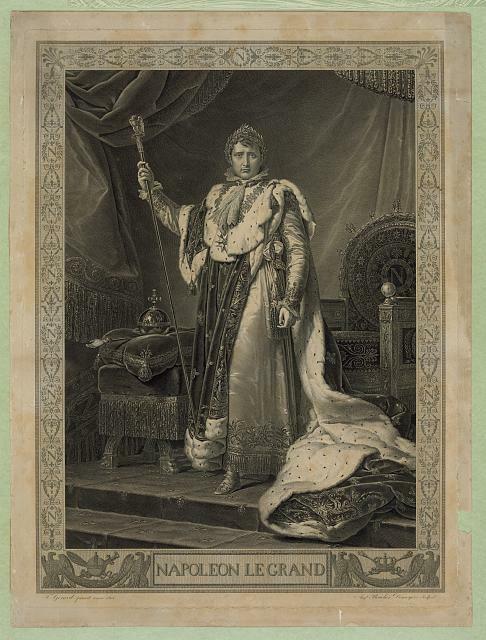 Print showing Napoleon I, full-length portrait, facing front, standing in front of throne. In June 1812 500,000 men of Napoleon’s army invaded Russia. Six months later barely 20,000 returned. 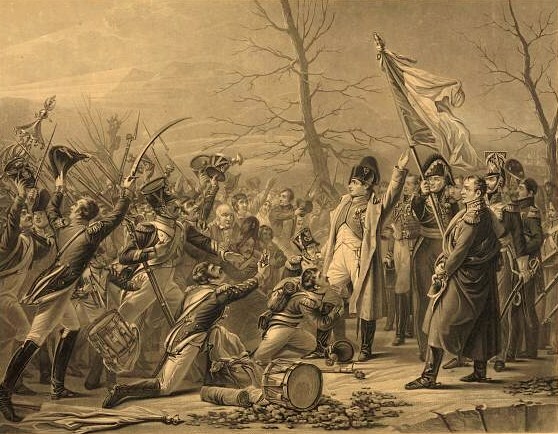 The disastrous advance to Moscow and the subsequent retreat irreparably damaged Napoleon’s military power and prestige and resulted one of the most celebrated catastrophes in all military history. Smith’s new account of the grim events of 1812 is based on the diaries and letters of soldiers who survived, many of which have not been published in English before.